Hi there Dedicated Blog Readers! Alysha here, your one and only resident American counselor. I hope you all have enjoyed our updates and photos so far, but get ready because there is always more! Throughout daily classes the campers made tiles out of plaster of Paris in Art, worked on their butterfly stroke in Swimming, and wrote more letters and stories in Typing. 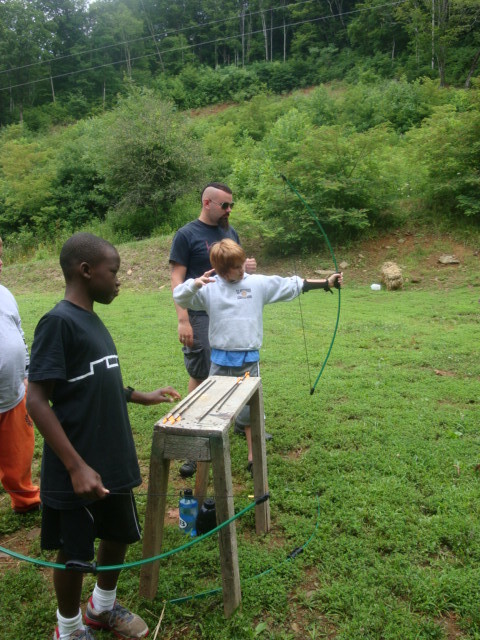 In Outdoors they ran obstacle courses, played intense games of Paintball, and worked to perfect their Archery skills. In Woodshop, many of the campers have been building small houses, boats that they’ve been testing in the pool, and even yoyos! Building yoyos seems to have become the new camp trend. They are all working hard in Tutoring and are improving every day. Finally, one of our most exciting additions to camp are 4 new Kindles that the campers get to use during Reading Hour. The Kindles have allowed them to read books at higher reading levels and are helping them read more pages each day. During evening activities, the Junior Girls got to have a movie night as their prize for working very hard to win Room Inspection. 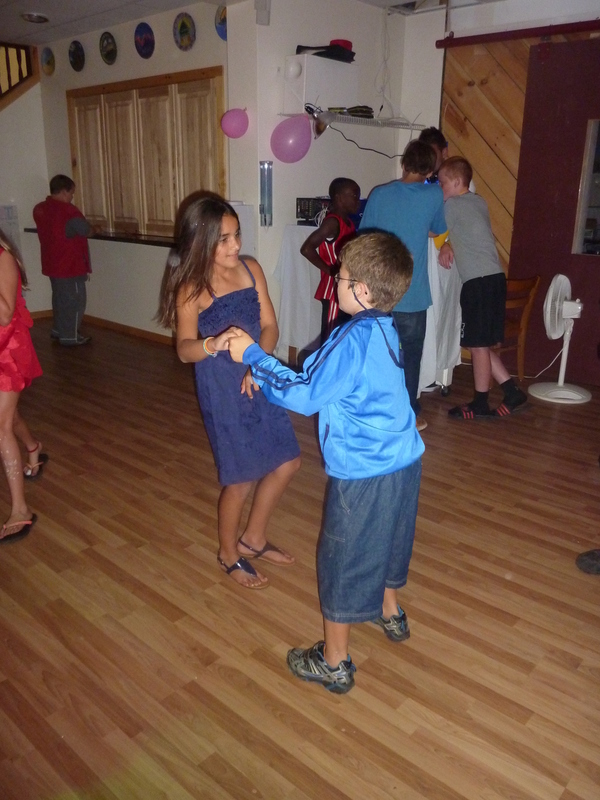 On Tuesday the whole camp decorated masks which they wore at the Masquerade Dance the next night. 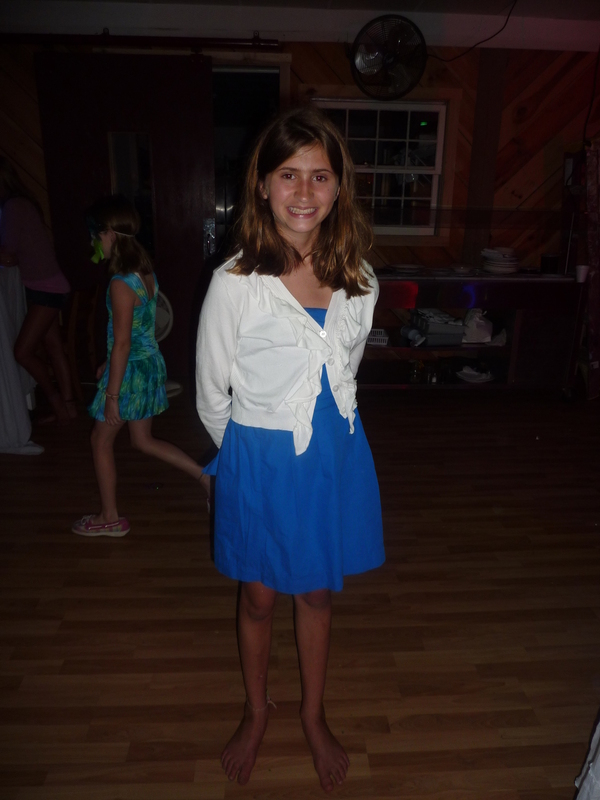 The campers dressed to impress in their formal wear and showed off their moves! On Thursday we held the infamous Skit and Talent night. Hilarious skits were performed about three of our campers that were leaving the next day, and counselors and campers alike showed off their performing talents. After saying farewell to our departing campers on Friday, the crew still remaining played a mean game of Capture the Flag at the Bakersville field, had a blast in the pool during a night swim, and ate s’mores by the campfire. Needless to say these guys have been busy! They were worn out and fast asleep after all the excitement this week, but stay tuned…because they are always recharged by Monday for another week of fun!